Resin Rugby Boot, Ball and Posts Trophies. Available in 3 sizes, 130mm, 150mm and 170mm high. Antique gold with gold detail. 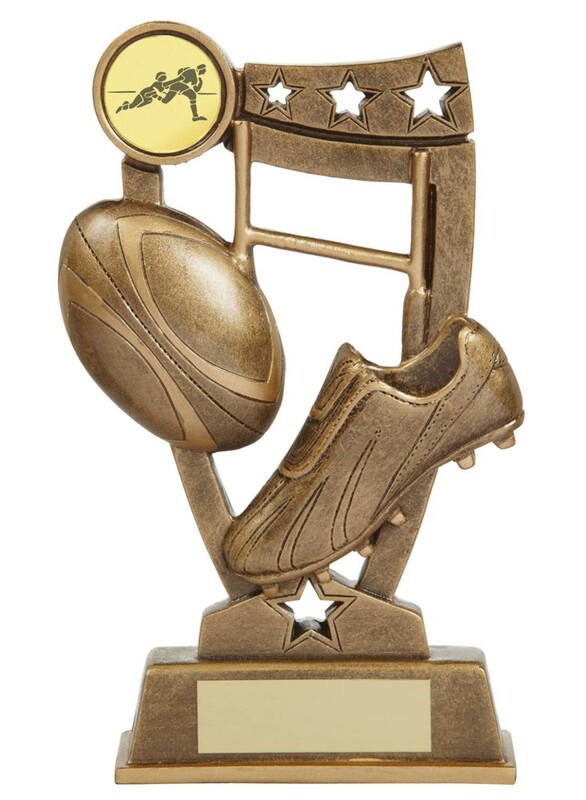 A great value rugby trophy.